Psychodiagnostic testing can distinguish the psychological contributions to behavior that may confound accurate diagnosis and treatment. When faced with concerns regarding a child's performance in school, psychoeducational testing may be warranted. It can help college or graduate school students who are struggling academically to determine learning disabilities and assist them in receiving testing accommodations. Dr. Tansman will meet with you for an initial session in which she will gather all relevant history and current symptoms. The testing is then tailored to the referral question. After testing is completed, a comprehensive report with recommendations will be provided and any questions or concerns will be addressed during the final session. Dr. Tansman has been a licensed psychologist since 2000. She is a graduate of The University of California at Berkeley where she received her B.A. in Psychology. She then went to Pepperdine University where she received a Master&CloseCurlyQuote;s in Psychology and the California School of Professional Psychology where she received her Doctorate degree in Psychology in 1998. Dr. Tansman has co-authored a number of research studies. With many years of experience in providing comprehensive psychological assessments of children and adults, Psychological Assessment Services specializes in assessing cognitive functioning and identifying learning disabilities as well as attention and concentration difficulties that may result in behavioral or social issues. We also provide pre-surgical assessments and medical legal reports for Workers&apos; Compensation. Dr. Tansman has been extensively trained in psychoeducational and psychodiagnostic testing and assessment. She did her training in testing and assessment at the Santa Clarita Child and Family Development Center, the Almansor Center (a school for children with learning disabilities in Pasadena), California Hospital and Metropolitan State Hospital. After graduating she continued to work at the Almansor Center conducting psychodiagnostic assessments with children ages five through eighteen. She also worked at the North Los Angeles County Regional Center assessing children and adults with autism and mental retardation. 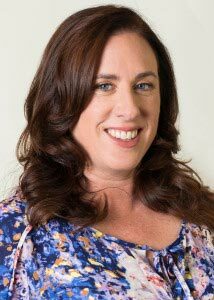 In addition, Dr. Tansman has taught graduate students psychodiagnostic testing and assessment at the California School for Professional Psychology. Dr. Tansman has been a psychotherapist since 2000. She has worked with children, adults and couples. She has been trained and has worked in the area of Health Psychology completing her post -doctoral fellowship in pain management at the Pain Care Centers of California and has worked extensively in pain management psychotherapy. Dr. Tansman has conducted Workers&CloseCurlyQuote; Compensation evaluations since 2008. She worked with Drs. David Glaser and David Freeman at CalPsychFMT and then with Dr. Freeman at Comprehensive Psychological Services through 2015. She has been a Qualified Medical Evaluator since 2011 and has performed over 300 medical-legal evaluations and reports.